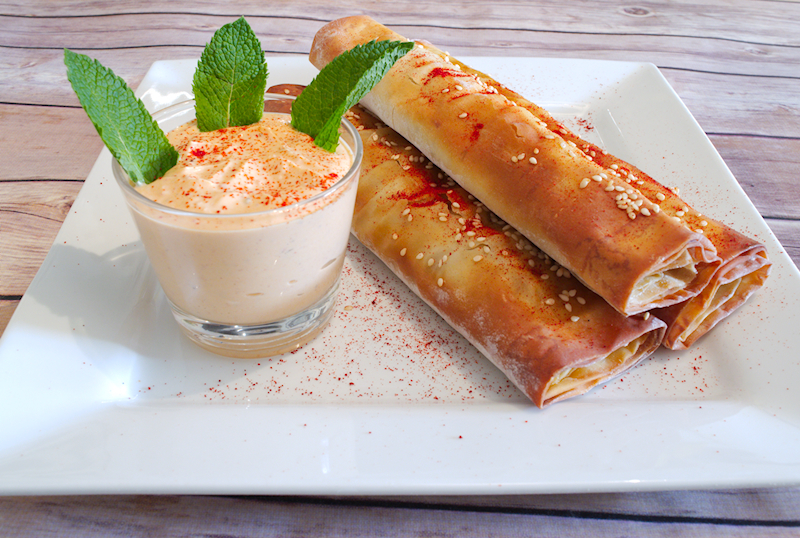 A recipe for impressive and delicious Moroccan lamb cigars with a yogurt and Harissa dip. A crunchy delicacy with exotic flavors in your plate! I have to admit that I didn’t know much about the North-African cuisine. I knew, of course, that there are some common ideas that span across the Mediterranean region, from Morocco to the Middle East. Spices, vegetables and pastries. 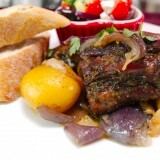 But never expressed the interest to go deeper into that cuisine. Ok, except from the odd couscous and some occasional Lamb Tagine. The first Moroccan recipe I tried and was really impressed was the Moroccan spicy lentils soup. What I was missing all this time? That triggered my interest to search for more authentic recipes from this part of our world. 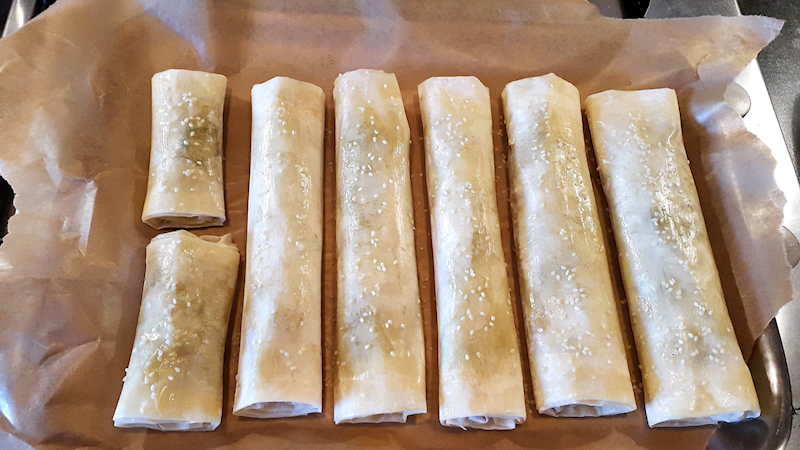 As I love my pastries, I found out that ground lamb rolled in filo sheets are a very popular dish called simply Moroccan lamb Cigars. 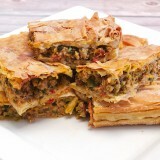 Not difficult to make, just cook your ground lamb with all the spices and roll some cigars using simple filo sheets. During my short educational trip of Moroccan cuisine I came across the Harissa paste. That was something new to me, I admit it. 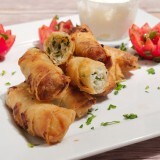 When combined with some yogurt and lemon juice, it makes a lovely exotic dip for your Moroccan lamb cigars. I should have discovered Harissa paste before, I am sure that I will use it more frequently in the future in my dishes. 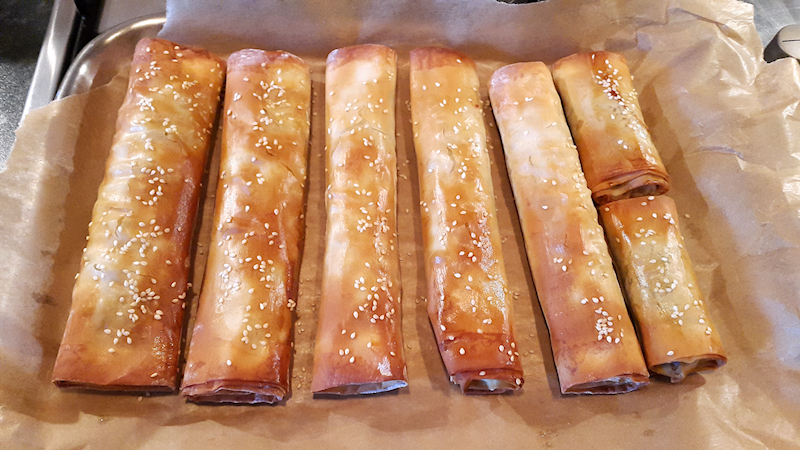 The filo sheets I got were not very wide so I chose to make the Moroccan lamb cigars using a whole sheet. They came out quite long, but that wasn’t a problem. Still delicious! If you prefer, you can cut them in half lengthwise to make shorter cigars. 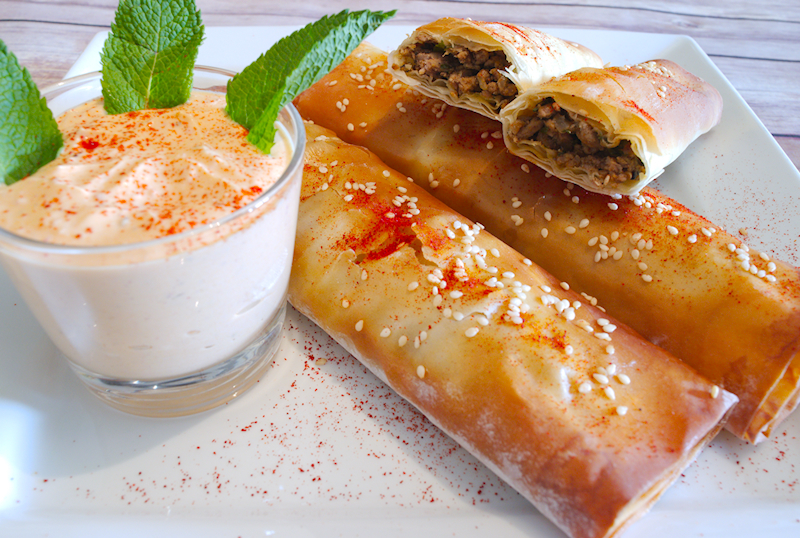 A recipe for impressive and delicious Moroccan lamb cigars with a yoghurt and Harissa dip. 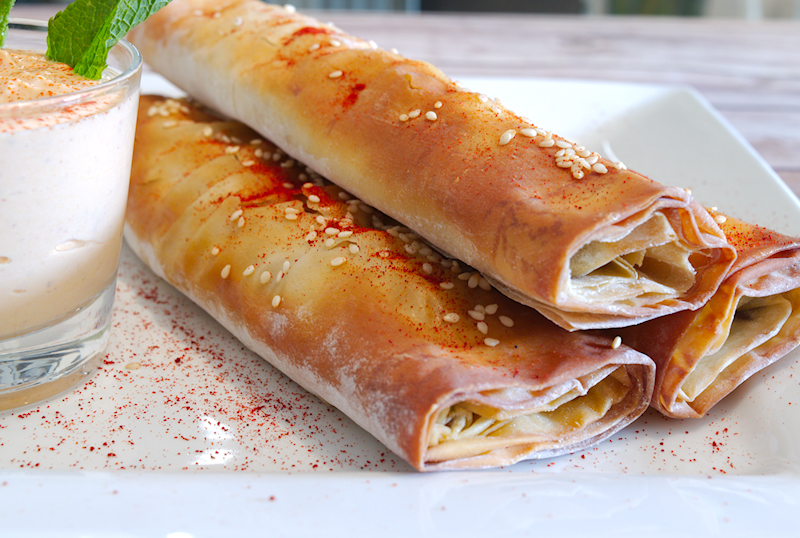 A crunchy delicacy with exotic flavors in your plate! 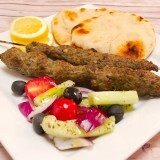 500 gr (17 oz) ground lamb. 1 ½ teaspoons of ground cumin. 1 cup of Greek yoghurt. Heat up the olive oil in a large frying pan on medium heat. Add the onion and cook until it gets soft and translucent. Add the cumin, nutmeg, cinnamon and garlic and cook for ~ 30 seconds while stirring. 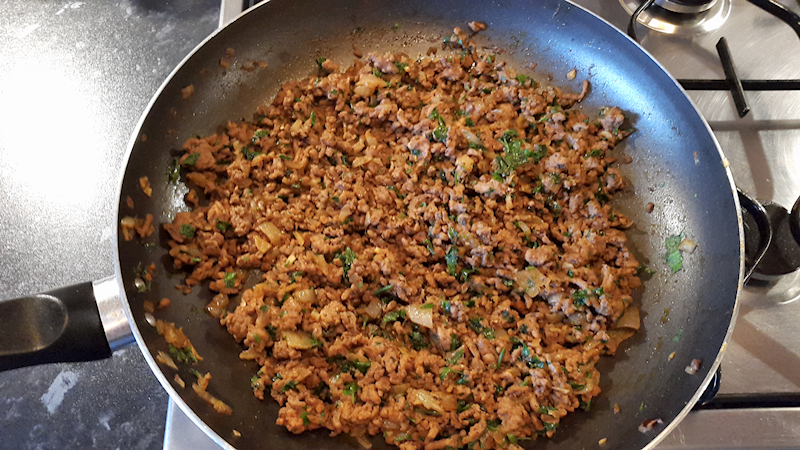 Add the mince lamb and season it with salt and pepper to taste. Cook the meat until it gets starts getting brown. Add the tomato paste, give it a good stir, lower the heat to low-medium and cook until most of the juices have gone. Add some olive oil in a small bowl and beat the egg in another bowl. Lay one of the filo sheets in a flat surface. Use a kitchen brush and spread some olive oil along the sheet. Spread some of the egg along the edges of the sheet. 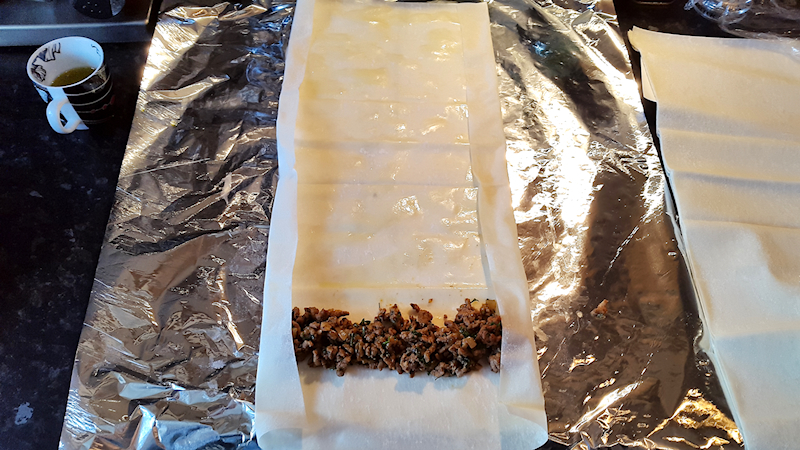 Add 1-2 tablespoons of the lamb mixture close to the top of the filo sheet, leaving ~ 1 inch spacing from the edges. Fold the two long edges as shown in the photo and roll the cigar making sure it's relatively tight and sealed. Place the cigar on a tray covered with parchment. Repeat with the other filo sheets. Spread the remaining oil and egg on top of your cigars and sprinkle some sesame seeds on top. Bake the lamb cigars for ~ 30 minutes until golden brown. For the yoghurt-Harissa dip: Add the yoghurt, Harissa paste, lemon juice and 1 tablespoon of olive oil in a bowl. Add some salt and mix well. Try it to see if it needs any corrections (more Harissa paste, more salt etc), according to your liking.